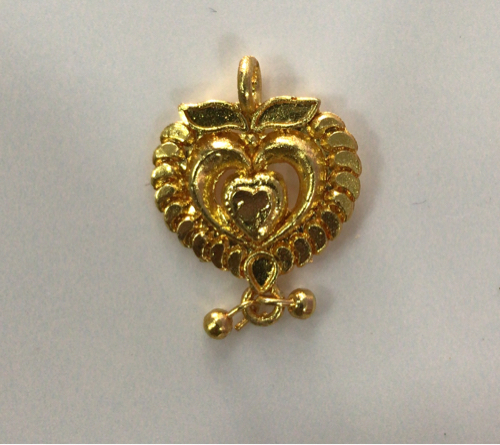 Keeping in mind the ever-evolving requirements of our clients, we are devoted towards manufacturing an optimum quality range of Men's Casted Pendant. We being a distinguished business company are highly dynamic in providing to the industry a vast gamut of Ladies Pendant Set. The Traditional Pendant Set crafted by us widely popular for consisting colorful precious and semi precious stones. These Traditional Pendant Set are available in various colors, designs and sizes. Women can buy these ornaments according to color of their dresses including salwar suits sarees, lehenga sarees and bridal dresses. 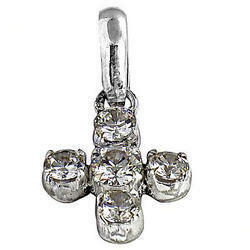 We offer a large selection of wholesale pendants jewelry. We have all types of fashion pendants such as heart pendant, cross pendant, glass pendant, crystal pendant, diamond heart pendant, butterfly pendant, om pendant, infinity pendant, diamond circle pendant & more in stock. Also, we can make customized pendants as per your requirements.